Additional resources: Please refer to the comprehensive guide to customer lifetime value website. 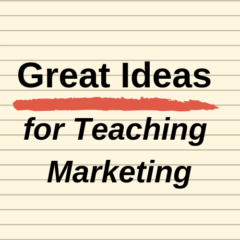 Notes: There are two other activities on this site: one provides a simple introduction to the customer lifetime value formula and the other gets students to interpret its outcomes. For this exercise, you will work through a complete calculation of customer lifetime value, which is provided over a ten-year period with all information clearly provided. Your task is to essentially explain the mechanics of the calculation. 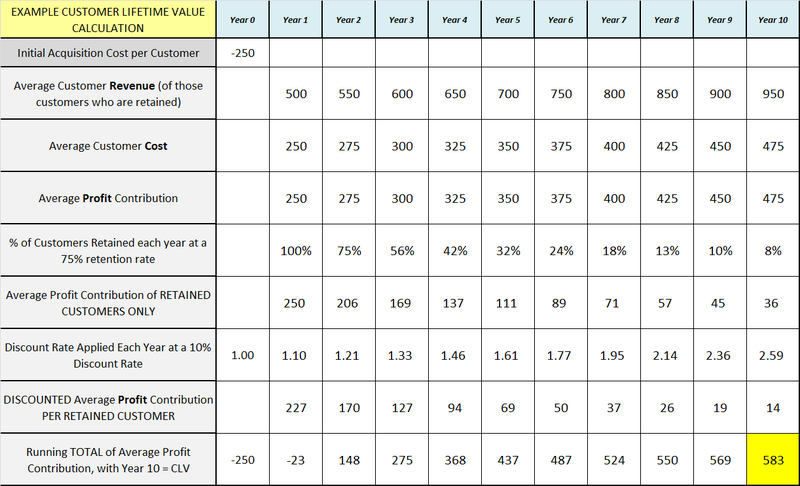 The following diagram can be enlarged by clicking, and it provides a ten-year view of customer lifetime value, with the final key number listed in the bottom in yellow. Work through each line of the calculation and take turns in your group to explain what is happening in each row. Once this is completed, work through the mechanics of the calculation and discuss why each row is necessary. 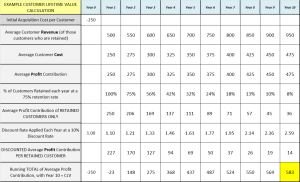 What options with this particular situation have in order to improve final customer lifetime value (that is, what numbers could increase or decrease) to increase the final value? Next Next post: A “too” simple view of marketing?